A tiny Nashville native celebrating Memorial Day. If you look to the calendar, the official beginning of summer doesn’t start until June 21st. However, for many, Memorial Day weekend signifies the start of summer; warmer and longer days, landscapes in full-bloom and permission to wear white clothing and shoes again (until Labor Day at least). The weekend ahead will boast pool parties, barbecues and outdoor celebrations in backyards across the country as we welcome the debut of the outdoor living season. We embrace all the camaraderie and good times that go along with Memorial Day, but we also remember the real reason for the holiday. Initially known as Decoration Day, Memorial Day is a day to remember those military members who died while in service for their country. The origins of Memorial Day still remain a topic of debate to this day. What we do know however is that in 1966, President Lyndon B. Johnson declared Waterloo, N.Y. as the official birthplace of Memorial Day. However, the roots of Memorial Day likely run much deeper, as researchers note that during the Civil War organized women’s groups in the South had begun to decorate the graves of fallen soldiers long before the tradition of commemorating our fallen heroes became what is now known as Memorial Day. 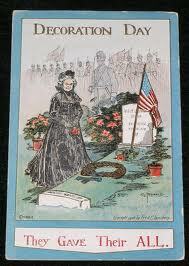 Memorial Day is observed every year on the final Monday of May. Since its birth commemorating fallen soldiers of the Civil War it is now extended to honor all Americans who have died while in military service. With this in mind, we urge you to remember the brave who gave their lives so that we may live in the land of the free, on Memorial Day and every day. Here is a list of ideas for starting a tradition among in your home to honor this important holiday. Visit your local veterans cemetery. Some graves are well-maintained by family members, but when there are no living relatives, that chore falls on the shoulders of local veterans groups. Lend a hand by bringing some flowers and helping to beautify a few of the less cared-for graves. Attend a Memorial Day parade. This is always a big hit with the kids, and it will give the veterans marching a reason to smile. What is more American that attending a parade centered on showing pride for our country?
. Raise a flag. 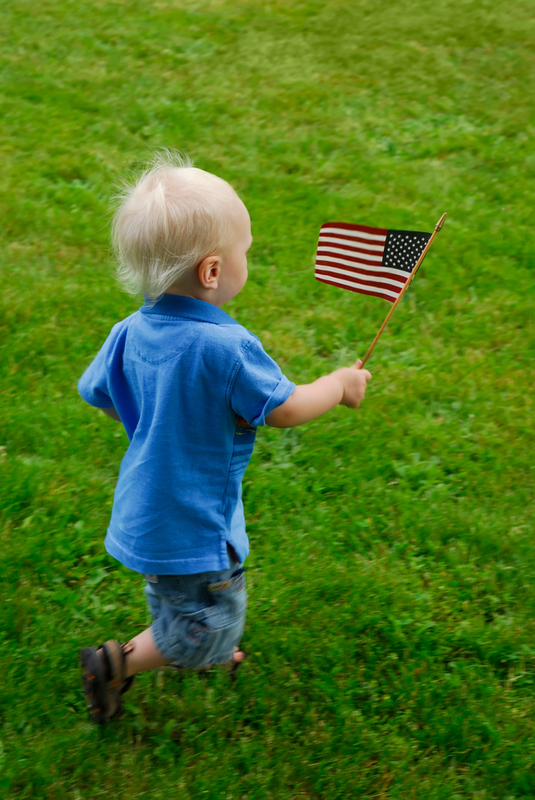 Showing your thanks and appreciation can be as simple as flying Old Glory at your house. Remember: she should remain at half mast until noon, as per tradition. Honor the National Moment of Remembrance. 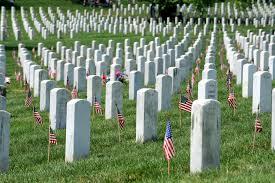 In 2000, Congress addressed the fact that many Americans simply use Memorial Day as a day to eat burgers. They created the National Moment to make sure our troops are honored. At 3 p.m. on Memorial Day, every American is asked to pause for just one minute to honor the fallen. Visit a battlefield. Memorial Day owes its roots to the Civil War, and there are numerous sites up and down the East Coast where soldiers laid down their lives for us- plan a day trip with the family to learn more. Watch or Listen to the National Memorial Day Concert. This year’s concert airs at 8 p.m. E.T. on Sunday, May 25th from the West lawn of the US Capital. The Concert features music and tributes to the men and women who bravely gave their lives for their country. Help others remember. Share a photo of your beloved fallen soldier/airman/sailor/etc on Facebook, Instagram or in your home so that we may never forget! Your friends at Outdoor Lighting Perspectives of Nashville would like to extend our appreciation for those have bravely served and died for our freedoms, and the family’s of those who have fallen. We would also like to thank all those who have served, and continue to serve — we will never forget. This entry was posted in Outdoor Lighting Special Events, Outdoor Lights Nashville, Outdoor Living in Nashville and tagged Memorial Day traditions more important than just a barbecue, Nashville outdoor living, National Memorial Day Concert, National Moment of Remembrance, Origins of Memorial Day, outdoor lighting Nashville, Outdoor Lighting Perspectives Nashville honors Memorial Day, Outdoor Lighting Perspectives of Nashville by outdoorlightingnashville. Bookmark the permalink.